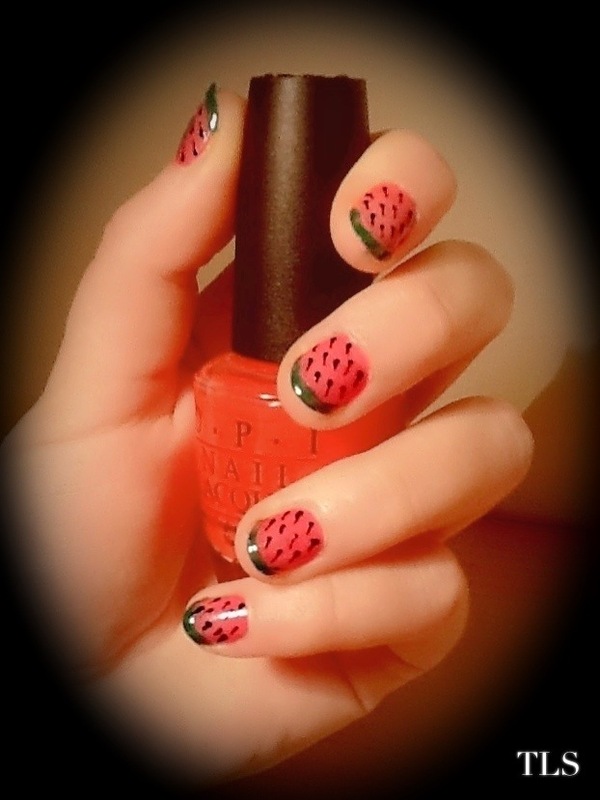 Watermelon nails! | details in the fabric.. Reminded me a little of strawberries too. On watermelon, what is the correct etiquette for eating it in public? I was in a restaurant once in the middle east, and there was some watermelon, so I had some…but..what do you do with the SEEDS?! Do you spit them out? Spit them into a tissue? Swallow them? Remove them before eating? It felt as if the whole room was looking at me whilst I was eating it – I learnt my lesson. Watermelon is for the house! Cute!! Perfect for the summer :) I need to try this!